Uncertainty inference, which is used to infer the reasons corresponding to the results, has permeated through various fields, such as medicine, risk assessments, and marine management. Tackling ambiguity under fuzzy environment by using the Bayes and Dempster–Shafer theories has recently received special attention. In actual cases and experiments, we can estimate probabilities of occurrence and non-occurrence of events, which are expressed by intuitionistic fuzzy numbers (IFNs) or interval-valued intuitionistic fuzzy numbers (IVIFNs). 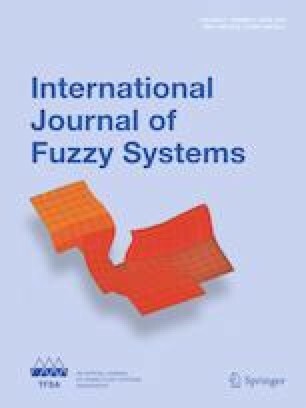 To accomplish the multi-source uncertain inference in a fuzzy environment, this paper proposes the standard forms of Bayes formula under the intuitionistic fuzzy environment and the interval-valued intuitionistic fuzzy environment to solve grey models and decision-making problems with incomplete information. Firstly, we give some basic properties of IFN-probability and define its conditional probability based on the basic probability assignment of Dempster–Shafer theory. Subsequently, we also propose the independence of events, multiplication rule for the conditional probability of IFNs, and the law of total probability and the Bayes formula of IFNs. Due to the complexity and uncertainty of objective things, the indeterminacy degrees are often difficult to be expressed with crisp numbers. To address the challenge, interval values are used to describe the indeterminacy degrees instead of crisp numbers. Secondly, we give some basic properties of IVIFN-probability and define its conditional probability based on the IFN-probability theory. Afterward, we further propose the independence of events, multiplication rule for the conditional probability of IVIFNs, and the law of total probability and the Bayes formula of IVIFNs. From the angle of modeling and complexity, our approaches are more convenient and feasible than the interval probability method. Meanwhile, the practical applications show the feasibility of the proposed methods. The work was supported in part by the China National Natural Science Foundation (Nos. 71771155, 71571123), and the Scholarship from China Scholarship Council (No. 201706240012).